The human body is built to move, so it’s no wonder why sitting all day is bad for you. 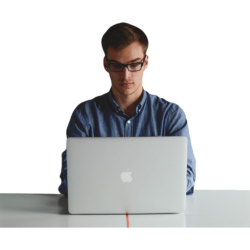 Although back, numbness and joint pain are noted side effects of many people who work in sedentary desk jobs, general productivity is reduced when we sit down all day. This is due to the lack of oxygen reaching our brains, that reduces the blood flow to organs entering the blood stream through your lungs. For your brain to remain alert and active it requires both blood and oxygen. However, oxygen can be restricted when we’re hunched over our desks curving our backs with rounded shoulders. Over time, sitting all day also puts huge amounts of pressure on the spine causing wear and tear on our spinal discs and muscles that stretch to accommodate the backs curved position. Did you also know that when you sit down all day you temporary deactivate lipoprotein Lipase? This is an enzyme that breaks down fats in the blood. Essentially, by sitting down all day you’re not burning as well as you do when you move. So how can you reverse the negative effects of sitting all day? *Make sure you organise regular DSE assessments with your HR team, especially if you’ve moved desks or you hot desk a lot to check eye levels and that your chair is suitable to your frame. Ergonomic chairs are fluid and flexible, so do get in touch if you’d like us to talk you through the best solutions for your organisation with our top furniture suppliers. 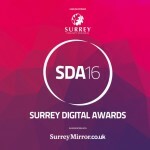 Rapport’s business blog; shortlisted in the 2016 Surrey Digital Awards.